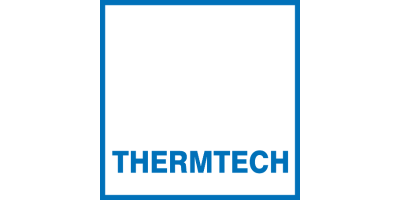 Thermtech AS is located in Bergen, Norway and is the owner of the TCC® technology. The TCC® is the number ONE solution for the treatment of oily drilling waste and the ONLY thermal solution for offshore treatment, because of unsurpassed performance and being the most applied thermal technology for drill cuttings. The TCC® has unique characteristics which are the consequence of generating heat through friction. 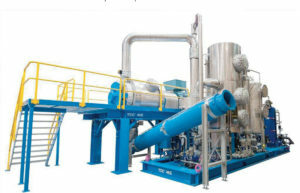 A major differentiator compared to any thermal technology is the extreme short retention time of the waste treatment in the TCC unit which not only results in recovered oil that is COMPARABLE TO NEWLY CREATED BASE OILS, but also in very clean solids, a HIGH PROCESSING CAPACITY and a SMALL FOOTPRINT. A very important effect of the friction process is that it allows for FULL TEMPERATURE CONTROL meaning temperature stability and the possibility to adjust temperatures immediately when needed to achieve an optimum separation result. 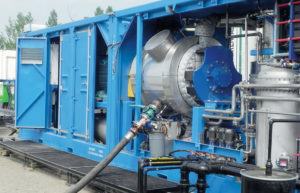 With almost 60 TCC units in operation in the world, the TCC is the MOST APPLIED TECHNOLOGY for treatment of oily drilling waste and the TCC is the only thermal system used offshore. Thermtech supplies mobile units, stationary units and offshore units. However, TCC unit will be tailored to meet specific needs which derive from project specific requirements, climate conditions and environmental objectives such as discharge limits. Once the technical specification of the unit has been agreed upon with the customer, Thermtech will perform the detail engineering and the manufacturing of the unit. Installation and Commissioning is done by Thermtech field engineers in close cooperation with the customer’s personnel. Once the unit is on location and in operation, Thermtech field engineers will stay on site to supervise the execution and to perform on-the-job- training and education of the customer’s operations personnel. Once the operators are well trained, Thermtech engineers move out. In Norway, Thermtech has a workshop in which process mills are produced and refurbished, a TEST CENTER FOR NEW WASTE STREAMS and a warehouse for the storage of spare parts. From Mongstad, spare parts are distributed all over the world and if required field engineers are travelling to location to perform repairs. From the office at Paradis, REMOTE TECHNICAL SUPPORT is provided through Internet connections with the TCC® units securing the optimum performance.